I am an experienced tutor specializing in math for all grades – right from the elementary grade to the undergraduate college level -, elementary English and undergraduate level accounting, finance and economics. I also help students in test prep, mainly SAT and GRE math. I can travel to areas near Gaithersburg – mainly Rockville and Germantown. I also take group lessons and my hourly rate will be adjusted according to the number of students in the group. Since I work with students of all age groups, I take a different approach with every student. For elementary grade students, I bring my own prepared material to the lessons. My main focus for these grade levels is on reading comprehension, vocabulary, grammar, creative writing, logic and math. For high school students, I focus upon math and test prep. I teach AP Statistics, Algebra, Calculus BC and also SAT Math. For undergraduate college students, I focus upon their course content and help them get through the class by assisting on homework and computer assignments. I am well versed with SPSS, STATA, R, Minitab and MS-Excel for statistics students. I have taught accounting and finance up to intermediate level, and I can also handle microeconomics. I began my teaching and tutoring 4 years ago. During this time, I have accumulated more than two thousand hours of teaching experience both as an independent tutor and working in MCPS. To get experience with the teaching methods of learning centers in the area, I also taught in two of the popular learning centers in Bethesda and Germantown. All of this exposure has given me a great insight into strengths and weaknesses of our comprehensive education system, and this knowledge helps me greatly when I work as a tutor. My credentials include two masters degrees – an MBA in Finance and an MS in Statistics. I also have 5 years of corporate experience in the insurance and banking industry. I started as a data analyst and ascended to the position of a manager of the business intelligence operations in the Analytics department of one of the largest banks overseas. I left my job due to changing family commitments and decided to pursue teaching – an endeavor I have always loved. The parents and students I have worked with have always commended me for my approachable and friendly personality. As a tutor, that’s the most important thing I bring to the table - I am good at creating a comfort level with my students so they can put their trust in me. My motto is to see my students succeed and I always go the extra mile for them when needed. I offer very competitive rates for my expertise compared to other tutors in this area. Although I am flexible with my timings, due to increasing scheduling constraints, I require a 24 hour notice for cancellation of a lesson. Also, I require my lesson to be a minimum of 60 minutes. I wish you the best in your studies. Swapna hasn’t set a schedule. I have done linear, logit, probit regression, one way and two way ANOVA, 1 sample and 2 sample t-tests, calculation of confidence intervals, correlation analysis, and time series analysis in STATA. I am originally from India, so I am a native Hindi speaker. In India, Hindi was primarily the language spoken in the family, the neighborhood and with the peers. I am well versed with the Devanagari Script that's needed in order to be able to write or read Hindi. I have studied Hindi in school. I can help the student with literary Hindi reading and writing as well as help him to improve his Hindi Vocabulary and Grammar. Discrete and continuous sampling distributions, relationship between random variables belonging to different distributions, mean, variance and higher moments calculation, moment generating functions, Bayes' theorem, total probability theorem, Monte Carlo simulation, application of probability theory to real life situations. Mrs. Swapna - Best Math Tutor I Have Ever Had!!! Let me first start off by saying: Mrs. Swapna, you are the best. I was taking a Probability/Statistics summer class at my school UMCP and needed this class to pass in order to graduate in 2015. When I first entered the class, I was struggling to understand the material and found myself needing a tutor. So my mom came on WyzAnt and started looking for tutors for me. We had about six tutors in mind to choose from, but when my mom read the reviews about Mrs. Swapna, she had said, she was the right person for me. She told me to try her and see if she would be helpful (for the record I HATE MATH). When I met Mrs. Swapna, she was everything that individuals wrote about her on here. She was patient, intelligent, willing to come down to my level when it came to math without judgment. She did not give up on me, was very caring about if I understood the material, and had an idea of what we needed to accomplish before our session was over. She was accommodating to my schedule, knew when I didn't understand the material, went over the material more then once until I understood it, and always asked me if I understood what she was saying or if the material made sense. She was interested in how I was doing on quizzes and test, and also was able to teach me the problems in more than one method. As good of a tutor she is, my quizzes improved and test scores were going up. She was an amazing tutor. She built my confidence in math and even my teacher saw the improvement. At the end, I PASSED MY MATH CLASS!!! If you are looking for a tutor in math I highly recommend her. I wouldn't trade her for any other tutor and I plan on using her in the future as well. She has been such a great help. Thank You Mrs. Swapna! 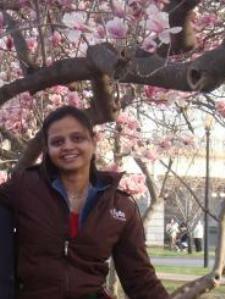 Swapna was easy to work with and very patient. She used clear examples to help me understand concepts. I would recommend working with her. I couldn't ask for a better tutor! A few tutoring sections with Swapna helped me to get an “A” on my final exam! So, I have no complaints; I just have good things to say about this tutor. She’s very patient, she was well prepared, and she really knows the subject. I couldn't ask for a better tutor. Thank you Swapna. Thanks to the tutor the complicated aspect and the steps to take in order to create a model and run the analysis was made easy, this was a very informative session and the time management was really good. Swapna is the best tutor ever! She knows everything there is to know about economics and under her tutelage, I was able to get the highest scores that I have ever received in my graduate courses. She is very patient and reliable and always wanted to make sure that I had a full understanding of what she was teaching me. I could not have made it through the course without her and would highly recommend her tutoring services. Clearly, Swapna was an effective tutor who knows her subject and inspires trust in relationship. She was sensitive to my needs, available and last but not the least, affordable and competitive. Her keen expertise in statistics set her above in tutoring. I warmly recommend Swapna for tutoring in Statistics, Maths, and Finances. Thanks Swapna! 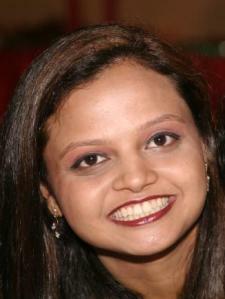 Swapna is an excellent tutor. She is very patient and she helped me considerably with answering my questions on statistical concepts. I would highly recommend her if you need a tutor for a college level statistics course. 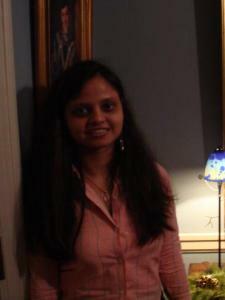 I had four, two-hour tutoring sessions with Swapna over a ten day period. My GRE Quantitative score, in terms of percentile, tripled by the time I took my last practice test for our last session. GRE math was the sole focus of my study sessions with Swapna and she was patient as we reviewed basic arithmetic, number theory, algebra and basic geometry. Based on the results thus far, my objectives have been clearly met with Swapna's help. 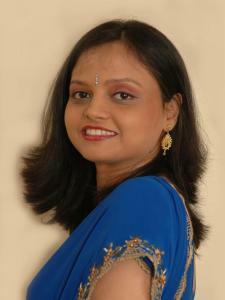 Swapna has helped me for most of my semester in graduate statistics. She is flexible and she is a good teacher. Even when it is hard to understand concepts she will find a way to make sure you understand. She also cares about the progress and grades of the student. 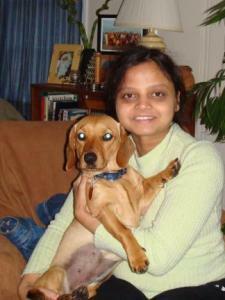 Swapna was a life saver for me. She not only has the knowledge on the subject but showed concern and she really did care about making sure I get the material. I highly recommend her. If you need someone not only to care about statistics but also care about making sure you get the material and get a good grade, go for her!! She was awesome. I got an A in my final thanks to her! !